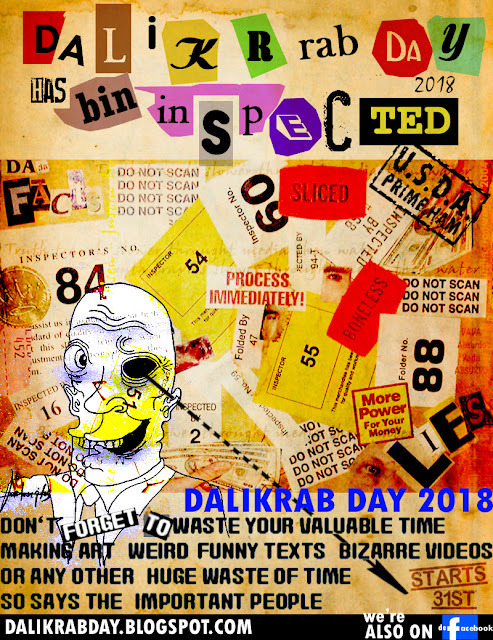 DALIKRAB DAY 2019: Dalikrab Day 2018 - just days away. Dalikrab Day 2018 - just days away. .. I am ready, m/sister holiday..are you? Calling All Dadaists...yes you! 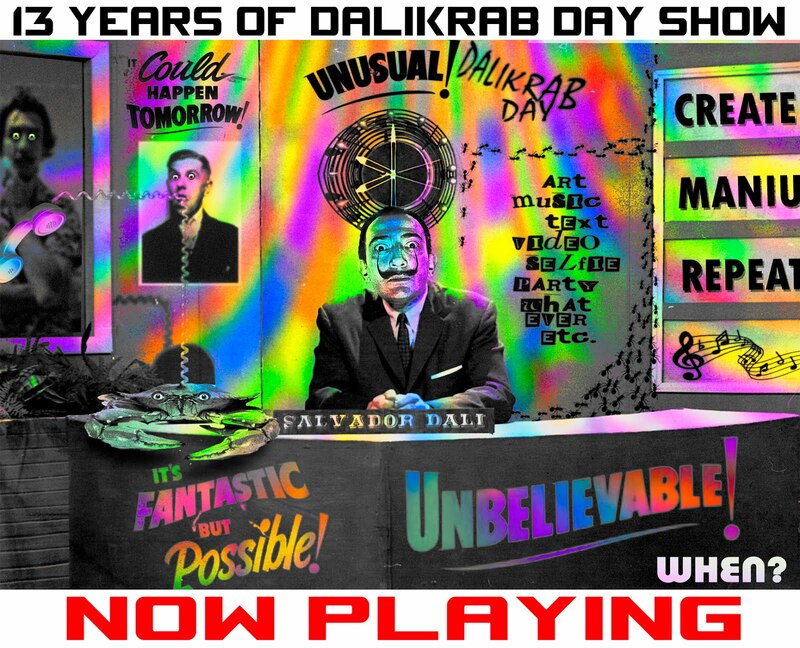 Dalikrab Day; the never-ending holiday for creating on the crazy side of art. Whether you are seasoned nut or just putting on dada on like pants. Come, create, manipulate, and repeat... a little or lot. Challenge others to be weirder than you. Calling All Dadaists ... ja jij! Dalikrab dag; de eindeloze vakantie om op de gekke kant van de kunst te creëren. Of je nu een gekruide noot bent of gewoon een dada-op-broek aan hebt. Kom, maak, manipuleer en herhaal ... een beetje of veel. Daag anderen uit om vreemder te zijn dan jij. Chiamando tutti i dadaisti ... si tu! Dalikrab Day; la vacanza senza fine per creare sul lato pazzo dell'arte. Che tu sia un esperto nutista o che ti metti dada come pantaloni. Vieni, crea, manipola e ripeti ... un po 'o molto. Sfida gli altri a essere più strani di te. Call all dadaists... Yes, you! Dali Club day; a holiday without an end to create on the crazy side of art. Whether you are in dadaab like nuts or pants. Please make it, manipulate, and repeat. Try to challenge the other people more suspicious than you.